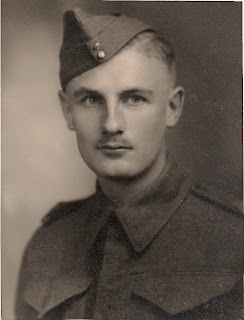 My Great Uncle L/Cpl. 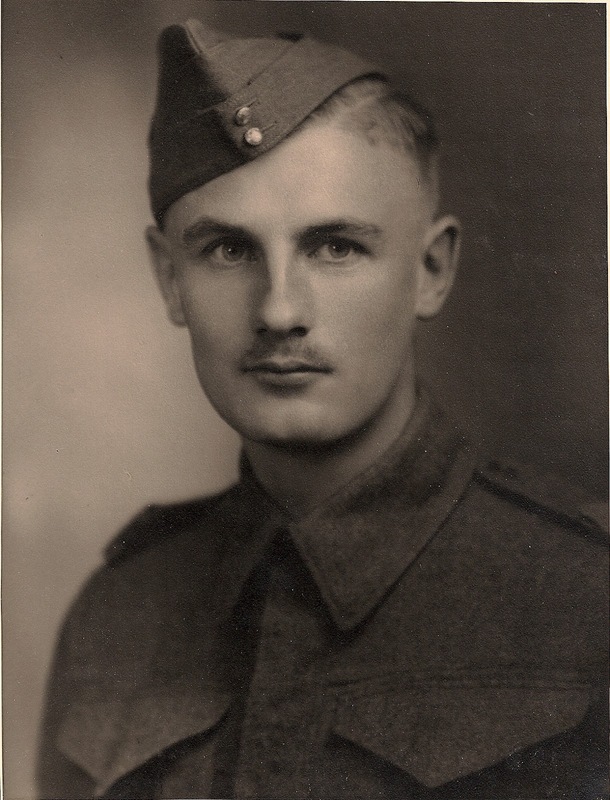 Lawrence Nimmo Dean, brother of my maternal grandmother Marjorie Elizabeth Dean Smith, was killed in action in Nijmegen, Holland on April 2, 1945 - little more than a month before V.E. Day. It is only through my family research and putting together my tree, with names and dates, that I have come to understand what Uncle Lawrence's death must have meant to my grandmother. Their mother, Eva Maude Bean Dean, died in 1916 of "Creeping Paralysis." My grandmother, the eldest child, was 12 and Lawrence, then the baby, was not yet two. Because of Eva's illness my grandmother had likely been Lawrence's primary caregiver since he was born and their father, (James) Louden Dean would not remarry for four years. I realized that it must have been like losing a child for her, when the call came from her brother Kenneth. Her husband, my grandfather, was also overseas, so I was happy to learn from my mother recently that my grandmother did not have to bear the news alone. Her sister, Dorothy, was there on a long visit. Thank goodness they had each other to lean on.